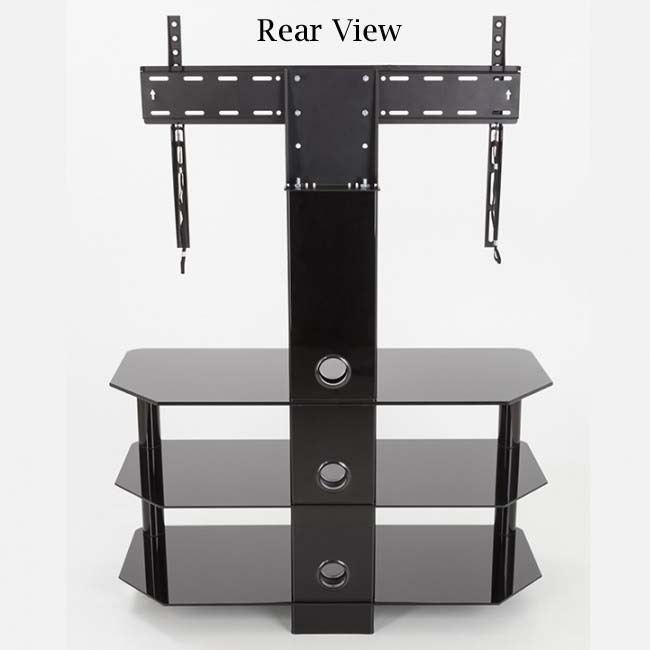 More on the AVF Glass Corner Pedestal TV Stand for 32 to 60 in TVs (Black) SDCL900BB-A below. 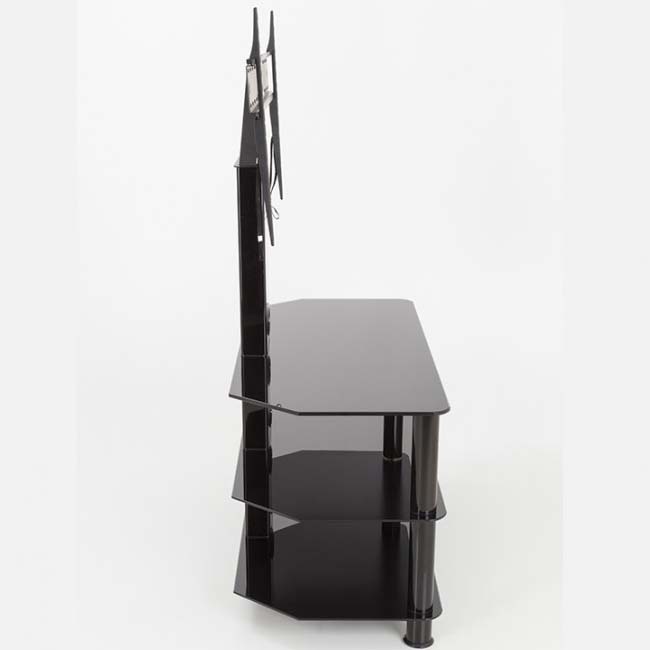 The SDC Series is a simple, attractive, and versatile series of Audio Video stands and tables, in multiple sizes. 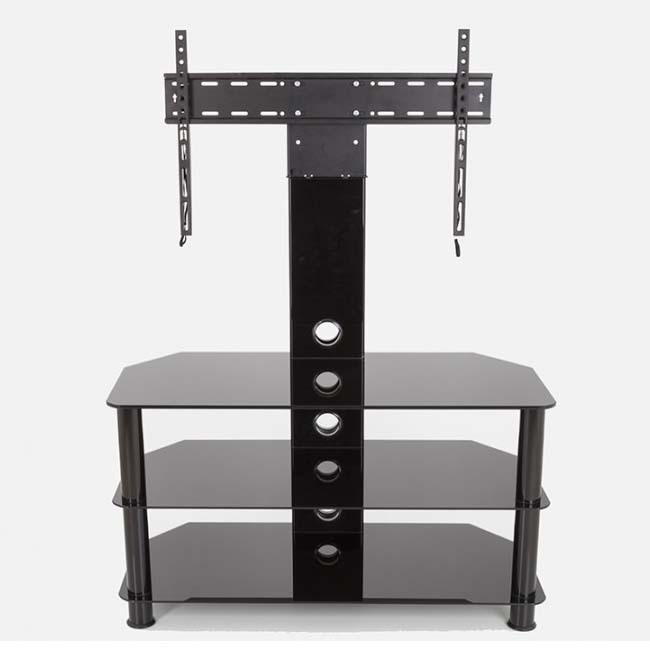 The high quality, easy to assemble stands blend with virtually any decor. The AVF SDCL900BB-A is a pedestal TV stand has an attached mount which supports most flat panel TVs from 32 to 60 inches and up to 88 pounds. 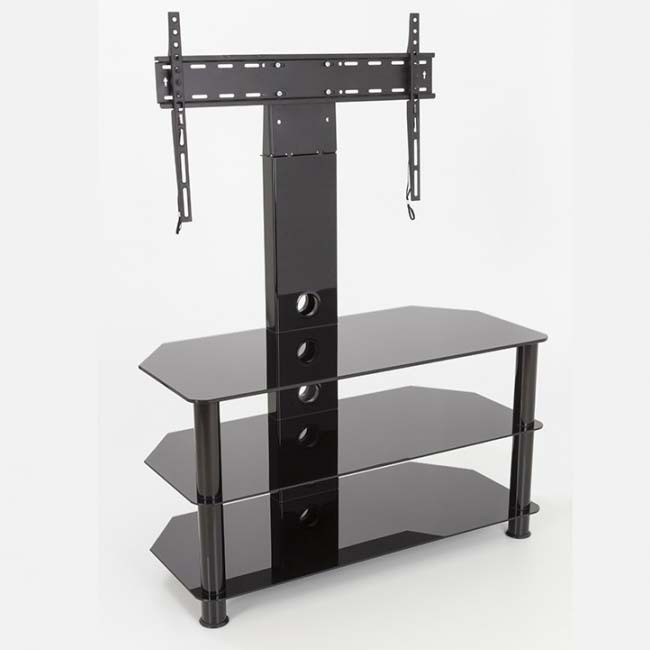 It is a super easy to construct, contemporary, and versatile solution for your home entertainment needs. The black tempered safety glass and durable stainless steel legs modernize any space while the angled corners save valuable space when placed into a corner of your room. Angled corners also provide multiple room placement options including into corners or flat against a wall in order to maximize space and enhance viewing angles. Arrange your various audio video components on the two spacious lower shelves. Click here for the Assembly Instructions. Range of Screens Supported: 28 to 32 in., 33 to 38 in., 39 to 42 in., 43 to 50 in., 51 to 60 in.